￼Kayo is a Jungian Analyst trained at the C.G. Jung Institute and at ISAP (The International School of Analytical Psychology) in Zurich, Switzerland. 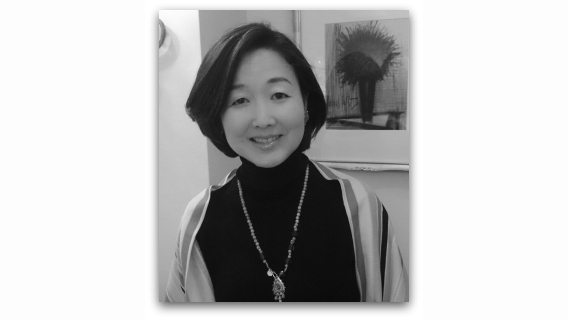 Born in 1967, she grew up in Japan and has worked as a psychotherapist in clinics and hospitals since 1993. In parallel, she has also done doctoral research at a graduate school in Tokyo and published papers on optimism. After spending some years in South Korea, she moved to Zurich in 2002. Currently she is offering different kinds of therapy mainly based on depth psychology at her own praxis in Stockholm where she lives with her Swedish husband and a son born in 2007. ￼"The Middle Passage" is written by an American Jungian Analyst, James Hollis, Ph.D. It is a great book about midlife and Kayo is sure that you will enjoy to read it even if you are not interested in psychology. She was proud to translate this into Japanese and have it published in Japan. Kayo is offering therapy or analysis for private clients, both individuals and couples, as well as executive coaching for professionals and supervision for counselors and other therapists. ■ Languages: Japanese, English and Korean. Does your Japanese or Korean partner have a problem? It is not always easy for Japanese or Korean people to adapt to a Western environment since there are significant cultural differences. Kayo may help your partner to adjust and find an individual way to move forward in a Western society. You can either send your partner to her, come to see her together for couples therapy, or come yourself just for a consultation. Is your partner one of Kayo’s clients? You may find that your partner is changing or behaving differently while engaging in inner work. This difference could be an improvement but sometimes things could also look worse or even be destructive to the relationship for a while. Please be patient. Do not worry even if your partner seems to shut you out. Inner work consumes a tremendous amount of energy. Your partner needs some time to concentrate just on his or her own process and to discover a true self. Just trust the work to eventually make your relationship more authentic.